Liver mush (aka liver pudding) has been my favorite breakfast meat since I was a child. Few of my childhood friends seemed to know what it was, so I realized then it was not eaten by all southerners. What a shame, but they don’t know what they don’t know. 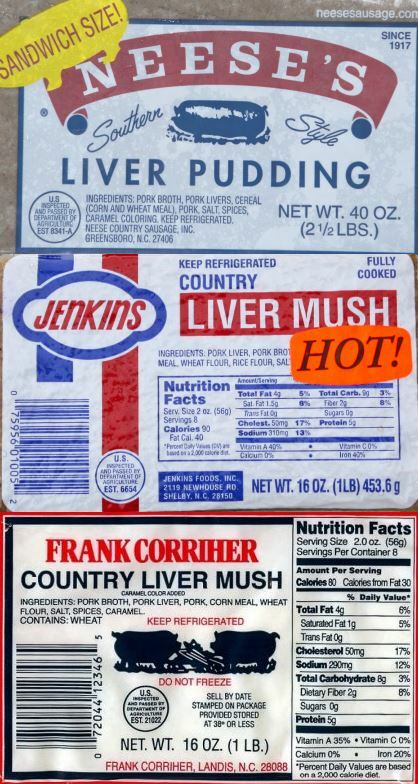 When I went to college I learned it was hard to find liver mush in stores outside of the Piedmont section of North Carolina. And after I moved away from the South, I used to freeze liver mush and bring it back on the plane (despite the warning to never freeze liver mush; it gets a little crumbly, but tastes the same). Everyone with an open mind that I shared liver mush with, liked it. I even had a roommate that stole my liver mush. Most commented that “It doesn’t taste that much like liver”. No, because it is diluted with cornmeal. But since the Federal Government mandated a large percentage of our gasoline be diluted with ethanol (most of which comes from corn), all of my favorite makers of liver mush started using flour (unintended consequences – but that is another story) to reduce costs. I tasted the difference immediately and though I wouldn’t say I don’t like it, I prefer the taste and the texture with 100% cornmeal. Plus, for anyone worried about or trying to avoid gluten, 100% cornmeal is the way to go. So, I no longer challenge the TSA agents and their dogs with 10 to 20 frozen 1 lb blocks of “C4” as I checked in with my frozen liver mush in my bags. We make our own liver mush now. Our first attempt was a spur of the moment thing Sonia made with a turkey liver (Yes, my New Jersey girl loves liver mush). It was a very small batch, but it was good. Traditional liver mush is made with pork livers and pork fat, but we have made liver mush with livers from elk, venison, beef, chicken, turkey and pork and we have used pork fat, beef fat and bacon drippings. 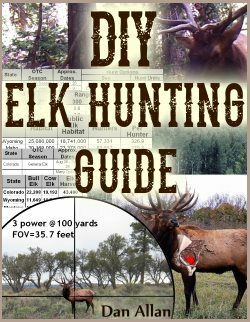 I put this in the Hunting Section because I don’t want to start a food/recipe section. 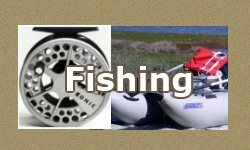 But hunting and fishing and food obviously go together. This is an excellent way to make use of elk and venison livers. Making your own liver mush goes right along with making your own sausage (see basic sausage, smoked kielbasa and Corned Elk and Smoked Pastrami Recipes. When I get an elk or a mule deer, I usually have one fresh liver and onions meal, then turn the rest of the liver into liver mush. That is proof that God loves us. Liver mush is a fully cooked preparation that must be stored in the frig. Most is eaten heated and served for breakfast. Some like it just warmed up, others like it crispy on the outside. I like either way. It is also good cold or heated on a sandwich (mustard, not mayo and certainly not ketchup). Since I like sweet/savory combinations like ham and pineapple, I combine liver mush and bread or biscuit with jam or preserves. Obviously, size of pork livers may vary. If the average pork liver is 3.7 lbs, then the ration of liver to cornmeal is 1.85 lbs liver per cup of cornmeal. Since pork livers are not easy to find where I live in the Inter-mountain West, I usually make batches with one or two pounds of chicken or beef livers. I use between 3/4 and 1 cup of corn meal for two pounds of liver. Notice the fat/lard ratio to liver; 3.7 lbs of liver to 1.75 pounds of fat. Yes, lots of calories. You can cut the amount of fat, but it will not be traditional and it will not hold together as well either. I say use the full fat for authenticity and flavor, but you can’t sit on the couch all day. Preparation: Cook liver and fat until tender. Remove the liver from the broth and grind/mash it up (I pulse it a few times in the Food Processor). Add corn meal to the broth (stir) and add salt, sage and peppers to taste. Cook until corn meal is done (stir constantly). Mix liver back into cornmeal, then pour (or dip) into mold and let cool. The Piedmont section of North Carolina was settled by German immigrants. Many began to move south from Pennsylvania as land there became harder to find by the late 1740s. My ancestors were mostly German that settled between the Yadkin and Pee Dee Rivers of North Carolina about the same time and place as Daniel Boone. In fact, my father found evidence during an ancestry search that one of our ancestors had a son that married one of Daniel Boone’s daughters. As with all immigrants, they brought their traditional foods with them. German immigrants brought a food they called “panhaus”. Panhaus is similar to scrapple and to liver mush and liver pudding. In America, the Panhaus recipe was adapted to used cornmeal, specifically cornmeal mush which was an American staple. The name liver mush makes sense. 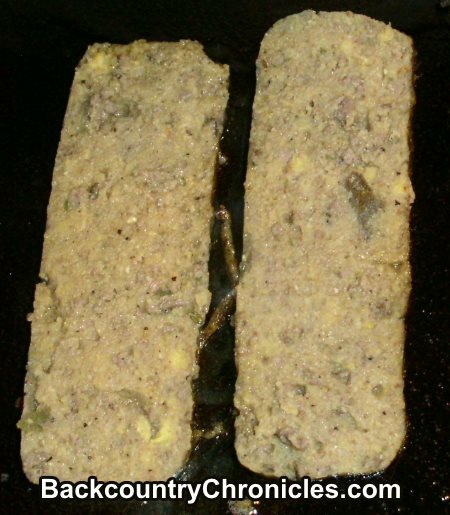 Scrapple refers to the process of scraping the pot that was used to cook pork after slaughtering and butchering. The broth from the pot is used to make Panhaus, Scrapple and Liver mush. Panhaus (aka ponhaws, pannhas or panhoss) is from the Westfall and Rheinland regions. It includes pork, bacon and/or beef “bits” cooked with salt, pepper, spices and flour into a slurry. The slurry is cooled (not gelled) and then blood is added to the mixture. The slurry is then forced into sausage skins and is known by a variety of names; Blutwurst (blood sausage), Hackfleisch (ground meat (without the skin like a pudding) or Leberwurst (liverwurst). It is eaten cold or cooked and served with grilled onions, potatoes (like potato salad) and or sauerkraut. I learned that German immigrants in Texas make panhaus with oatmeal. This is starting to sound very similar to the famous Scottish haggis. Years ago, I ran into a guy from Alabama that after tasting liver mush for the first time said “That the same thing as that fancy French Pâté”. I’ve had other friends say “I hate liver, but I like that liver mush”. Much of the following information and recipes came from a lost source on the web. 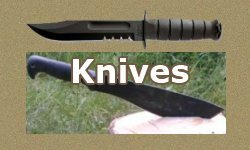 I found this information years ago, while researching liver mush recipes, but can no longer find the original website. If anyone knows where this information came from, please let me know and I will give credit where credit is due. 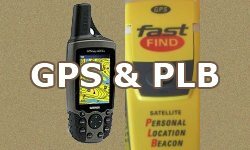 I think it is too valuable to be lost so I include it here. Panhaus was traditionally very similar to head cheese, but now has been modified a bit. My mom uses a bit of black pepper as the seasoning and it is fried crispy outside, soft on the inside and eaten WITHOUT any other additions. This is a meat product not fried corn mush! In northern Germany, one of the local specialties is “Knipp”, which is quite similar to scrapple, and is made from oatmeal, pork belly, pork offal, beef liver, and broth and is seasoned with salt, pepper, and allspice. Knipp is made from oat groats, pork head, pork belly, pork rind, liver and broth and seasoned with salt, allspice and pepper. Knipp is usually sold in roughly 30 cm long and 10-15 cm thick sausages as a Stange (stick) or Rolle (roll). 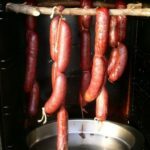 The smoked sausage is sold and consumed having been roasted, either just with bread, or with roast or boiled potatoes and gherkins, sweet and sour pumpkin, apple sauce (Apfelmus) and beetroot or even cold or hot on wholemeal bread. Sometimes crispy, fried slices of Beutelwurst are served with Knipp; this dish is known in Low Saxon as Knipp un Büddelwust. In the Lüneburg Heath, Knipp is made with Heidschnucke meat and is known as Heidjer Knipp. Calenberger Pfannenschlag is a type of Knipp sausage made by mixing meat with grains (Grützwurst) related to Pinkel which comes from the Bremen and Lower Saxony regions of Germany. In Oldenburg, Knipp is called Hackgrütze. In the Lüneburger Heide, “Heidschnucke” mutton or lamb is used in place of the pork. In North Hessen, a similar local specialty is “Weckewerk”, which may also be prepared with soaked stale white bread and seasoned with marjoram, garlic, onion, and caraway seeds. Usual accompaniments are steamed, boiled or fried potatoes, beets, and pickles. Buckwheat (Buchweizen) is commonly used in Germany in the preparation of some of the items described above. 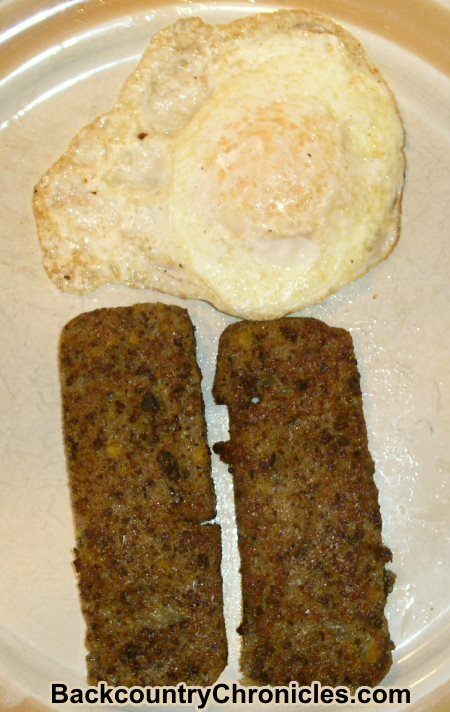 Scrapple is typically made of hog offal, such as the head, heart, liver, and other scraps, which are boiled with any bones attached (often the entire head), to make a broth. Once cooked, bones and fat are discarded, the meat is reserved, and (dry) cornmeal is boiled in the broth to make a mush. The meat, finely minced, is returned, and seasonings, typically sage, thyme, savory, black pepper and others are added. The mush is formed into loaves and allowed to cool thoroughly until set. The proportions and seasoning are very much a matter of the region and the cook’s taste. In Texas with the influx of a large German contingent of immigrants, the use of Panhaus is largely found in German based communities like New Braunfels and surrounding areas. With modern chilling and packaging procedures, Pannaus is to be found in many community grocery stores and meat markets, particularly those with old fashioned meat butchering capabilities. Braunschweiger or Leberwurst (anglicized as liverwurst) or Pasztetowa (Polish) is usually made from pig or calf livers in Europe from the Netherlands east to Russia and from Bulgaria north to Finland. Any of them could be right, in fact, all three make sense to us, especially together: stuff a gut and cook it, and it will swell. Such are the shared ancestral characteristics of “boudin” (both “noir” and “blanc”), Black Pudding, White Pudding, Blood Pudding or “Blutwurst”, and what Robert Burns calls the “great chieftain of the pudding race,” Haggis. Suet Pudding – A suet pudding may be boiled, steamed, or baked; it may be tied loosely in a cloth or packed into a pudding-basin; it may be a solid, doughy mass or a thin pastry envelope filled with meat or fruit. It is an acquired taste, perhaps (and we have acquired it all too easily). Worse, we have adopted the traditional practice of slicing leftover pudding and frying it in butter, and we regret to inform you that it is very good indeed. In fact, all of these various types of liver sausage are very similar to pâté and terrines except that the French make Foie gras (French meaning fat liver) from extraordinarily fat livers created by force feeding geese or ducks. So liver mush is just a simpler, more humane version of Foie gras. Trim pork liver of all membrane, fat, veins, etc. Wow, wow, wow. I am so happy to have found this page with its wealth of information. I’m also a huge fan of liver pudding and have also committed the sacrilege of freezing it for transport to the hinterlands (most recently was in exile outside the South for 5 years). I’m from Wilmington but now live on a farm in the Piedmont with my partner, descended from Scots immigrants down from PA around the same time as your German forebears (to western portions of the Triangle). His grandmom used to make liver pudding but we did not have a recipe. We just acquired a hunk of grassfed beef liver from a neighbor and were wondering if livers other than pork would be good for homemade liver pudding, so besides all of the history and recipes, the info that we can use any kind of liver is priceless. 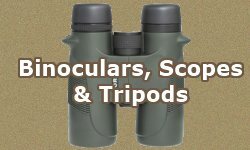 Additional incentive to slay our pesky deer invaders! Thanks again for including all of the fascinating background info and details. Enjoy! We just finished a batch of livermush made from beef liver. And yes, you will enjoy venison liver; as is and in livermush/pudding. Would like to know which raisin, regular or golden, is best for the last receipe for liver pudding? I have never tried a livermush recipe with raisins, but I imagine either type of raisins would be good; I love the combination of sweet and savory. If you make some before I do, let me know what you think. Glad to find this article. Been on the search for a good recipe. I’ve tried making it a couple times using chicken livers, bacon, and cornmeal. Second attempt was better than the first but still very wet. It’ll set up and slice but it’s prone to falling apart in the pan. A flour dredge helps. Funny you should mention chicken livers. Not traditional, but I am making a batch today with chicken and beef livers. Livermush has been on my mind since I harvested an elk last month, but fresh elk liver was used for the best liver and onions I ever had. I’ve had the same problem with chicken livers of getting the right cornmeal balance so it’s not too wet. I have been using pork lard instead of bacon. I assume you mean flour dredge before frying up for breakfast? One of my criticisms of my previous favorite livermush brands is they have switched to using flour. It tastes different and I don’t think it tastes as good as their old recipes with 100% corn meal. I also know folks that have stopped eating it because it is no longer gluten free. When I make a batch that is too watery, I simply fry it up inside muffing rings to hold it together until the excess water is cooked away.